Kaniwa is closely related to Quinoa (sometimes called baby Quinoa), and has a similar sweet nutty flavor, but does not contain the bitter saponins found on Quinoa. 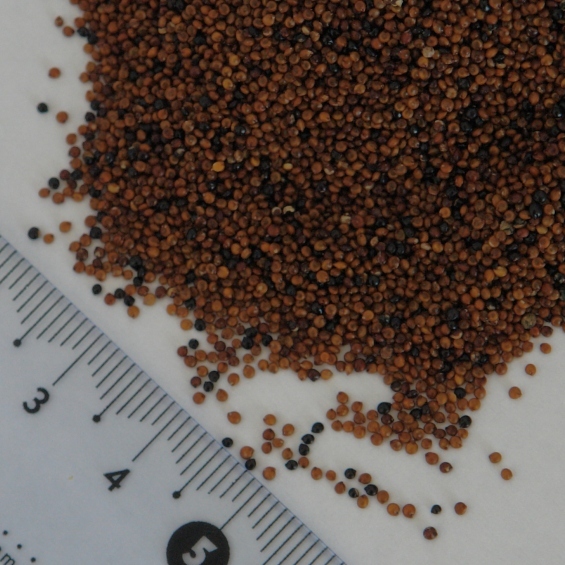 Its uses in the industry are similar to that of Quinoa, and once cooked, Kaniwa has a delightful crunch, which makes it a unique alternative to fluffy Quinoa. Kaniwa is an an indigenous pseudocereal food grown high in the Andes mountain range and has a high level of protein as well as a good balance of amino acids. Duties vary based on country of origin and importing country. Customs in your country makes the final determination of what the correct rate of duty is for all products imported and you should consult a customs broker or professional to determine the up to date and applicable duties for this product in your country. Risks: Kaniwa has a high risk of damage from humidity during shipping. Packaging: The recommended packaging is multiwall paper bags, 25kg/50lbs. Labelling: TradeLink can provide this product with personalized labels. Shipping: 20ft sea freight dry container, lined with kraft paper or corrugated cardboard and use moisture control packs to absorb condensation during transit. Quantity per container: 20 metric tonnes (not palletised). TradeLink specializes in supplying product to your specifications. Use our quote request tool at the bottom of this page to submit your particular requirements. Shelf Life: 24 months from date of delivery, stored in air cooled, brick built warehouse with appropriate vermin controls in place. Quality: This product shall be free from live infestation, and evidence of infestation by rodents or birds. It shall not contain pathogens at levels injurious to human health, and will comply with the requirements of the Food Safety Act 1990, and all pertinent regulations made thereunder. The nutritional values provided here are correct to our best knowledge although there is a lack of any reliable studies on the true nutritional values in Kaniwa. We have created this label using different sources and the information here must not be used for labelling or making any claims on your product. What certifications do you require? Any special requests or clarifications?